Big screen sees scores of youngsters from all walks of life attempting to make it big. It’s the ultimate destination of all actors—Bollywood. The dazzle of the big screen sees scores of youngsters from all walks of life attempting to make it big. While many find instant success, others take a circumvential route to achieve their goal. With the surge of television channels catering to the masses and the plethora of soap operas, reality shows, actors today have a wide berth to experiment on. While, some make their mark acting in serials, there are others with wit and charm and the ability to think on their feet take to anchoring reality shows or comedy shows. A noticeable trend of late are anchors who have attained a certain success ratio on television turning to movies. After a successful stint on television anchoring the Great Indian Comedy Show in 2004, Suresh Menon, Ranvir Shorey and Vinay Pathak turned to acting on the big screen. Likewise, popular anchors today, who have now trained their eyes on the silver screen are Rannvijay Singh, Ayushmann Khurrana, Karan Vahi, Manish Paul, Kapil Sharma, Rhea Chakraborty and Anusha Dandekar among others. The biggest stumbling block for most actors and anchors who take the leap from television to films, is trying to break the image that they have established on the small screen. Most anchors find it difficult to get the same audience acceptance when they try their luck in films. As a result, actors like Ranvir Shorey, Vinay Pathak who anchored the Great Indian Comedy Show, found it difficult to break the image. While, they have attempted to step out and dabble with different characters in films, have yet to break away from their popular image. 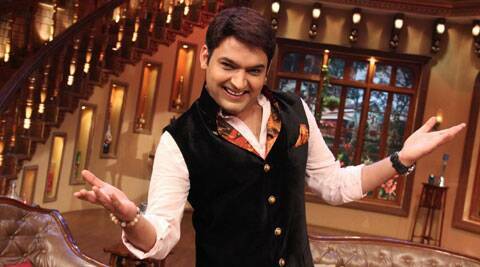 “When people say he was doing comedy on television and now has switched to acting, then it is not true as comedy is also a part of acting,” says comedian Kapil Sharma, whose show Comedy Nights With Kapil is trending the popularity charts on television, making it one of the most watched show today. However, one cannot deny that the level of popularity of the anchors is comparatively less, than that of daily soap actors. Aashima Chibber the director of the movie Mere Dad ki Maruti who had introduced Rhea Chakraborty in the film feels that VJs or anchors are full of energy and channeling that energy is very important. “Rhea was so bubbly and jovial even otherwise, so she just had to play herself in the film. Since she worked as a VJ, she knew the do’s and don’ts while facing the camera,” added Chibber. Saurabh Varma, director of Mickey Virus, who had introduced Manish Paul in the film, feels that it is easier working with an experienced person rather than with a newcomer. “For most directors, working with a television personality is better than working with a newcomer, because the risk of acceptance looms larger. Investing money on an anchor is safer as people are aware about him or her, and the chance of them being rejected is very less. However, as a director, we can’t be over confident about it,” says Varma. Be it a newcomer, or a television actor or an anchor, he or she is always on tenterhooks when venturing into a newer domain. Being accepted by the audience therefore becomes most important. “My biggest concern was being accepted by the audience, as I was a popular face on television. But, luckily for me, the audience liked me in Mickey Virus and were not averse to seeing me on the big screen,” explains Manish Paul. As the anchors are well groomed, there are times when it becomes important for the directors to ungroom them. “There were times when Manish would modulate his voice, which was not necessary while delivering his dialogues,” says Varma. One of the most common difficulty that a director faces is curbing the anchor in his actor. They are so comfortable behaving themselves, that at times, it becomes difficult for them to get into the skin of their character and play a different role. “At times, we shoot for 22 hours at a stretch and we have dark circles around our eyes, that we camouflage with make-up, but acting in films, you have to look your best,” said Sharma. There are several factors that an anchor has to take into account while making his big film debut. Besides the physical appearance, they also have to work on their characters, attending workshops to hone their skills. A strict diet and workouts are the other factors that an anchor has to pay heed to, in order to fit into the physicality of his character. The anchor turned actor also has to modulate his voice to sound like the character that he is playing. They have to tone down their pitch, as ,ost anchors are quite loud and follow a certain pace when they interact with the audience on their show. They have to work in sync with their co-star, and giving loud expressions definitely does not work when acting in films. While, we find a noticeable trend of anchors turning into actors, whether, they are able to repeat their success story on the big screen depends on audience acceptance and whether they are able to break their image in the minds of the audience.